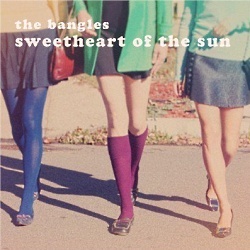 The Bangles will be releasing Sweetheart Of The Sun, the band's fifth studio album and first album of new material in nearly eight years, on September 13th. In October, they will hit the road for a tour. Susanna Hoffs talked with us recently about the new album, touring, her solo album, her favorite songs, advice for new bands, and one night in Chapel Hill twenty years ago. Good! It's been busy already. Besides doing The Bangles thing, I've been recording up a storm and writing up a storm, working with Matthew Sweet on Under the Covers, Vol. 3 as well as a solo record I've been trying to make my whole life. It's been a good, creative year. That's good! Sweetheart Of The Sun is The Bangles' first album in almost eight years. What made you guys decide that now was the time to release some new tunes? We've been meaning to do it. Our lives are fairly complicated because we're all moms, working mothers. It becomes a challenge to block out the time. It took us a long time on the record partly because we never had this ability to just stop everything in our lives and hunker down and do it. A lot of people don't know we're still a band. We do tour a lot, but it's always under the radar. We don't do really long, focused tours. We did three tours of Australia: 2005, 2008, and 2010, so that took some time out of our schedules. We just kept saying, "Oh, we'll do the record when we're done with this or we're done with that." We finally got to a point where we were like, "We've got to stop going out and doing these little runs and focus our energy on getting in the studio." Do you feel there's an underlying theme to the new album? I actually do. The influence of '60s music, we decided consciously to wear it on our sleeves, to have it be very strong thematically in terms of the sound of the arrangements, the jangly guitars, three-part harmonies. Harmonies have always been a big part of the band's sound, but we went out of our way to arrange and craft songs around the concept of three-part harmonies, taking some Crosby, Stills, Nash, & Young, the influence of the records they made, along with The Mamas & The Papas, The Beatles, The Byrds, and other bands like Buffalo Springfield that had those kind of arrangements, driven by guitars but also other elements and strongly featuring harmonies. It kind of struck us as we were going that a lot of the songs that ended up on the record had a theme of things having to do with us growing up in LA and living in LA and being an LA band. Even in movies like The Day Of The Locust, things about Hollywood that showed the sparkly bright surface idea of LA, that the sun is shining almost every day of the year and everything is pretty and sort of pastoral here, and it's kind of this urban sprawl with suburbia. "Another Pleasant Valley Sunday," is that the name of that song? Yeah, that's the name of the Monkees song. Yeah, the Monkees song. But underneath it, it's a city that, because of the sprawling nature of it, doesn't have a sense of community that you get living in other parts of the United States. There's a kind of disconnectedness that I know Angelenos experience because everyone's lost in their own backyard or their own car. Everybody's isolated. There's a kind of alienation that comes with it. It was kind of that theme running through the songs, of the dark side of LA that's hiding underneath the sparkly surface of it. Also, songs that deal with where we're at in our lives, having been a band for thirty years, getting married and having families, our own inside journalistic feelings about relationships and how they work, getting inside of that and using that as a topic to string songs together. I think it's a little bit more thematic than some of our other records have been. Cool. Who is Annalee (from the album's first track, "Annalee (Sweetheart Of The Sun)")? Annalee is a fictional person. There's a woman named Toni Stern who wrote with Carole King in the '70s. Vicki (Peterson) and I read a book, Girls Like Us. It was about Carly Simon, Carole King, and Joni Mitchell. There was also a series of books that came out: Hotel California and Laurel Canyon. I read all of these books and recommended them to the other girls in the band. We all loved it. We were so fascinated reading about Carole King and Carly Simon and Joni Mitchell, girls that were big influences on us as female artists and realizing that being little girls growing up in the '60s and '70s, these women had a huge impact on our lives. They were icons to us. We were envisioning the world of Laurel Canyon back in the day. I don't remember if Carly Simon was living up at Laurel Canyon, but Carole King was there, that's where Toni Stern was living. They got together and wrote together. There were all these women who were strong women who had a very defined sense of self, coming out of an era where the music world was dominated by men, kind of a Boys' Club. These women were finding there voices and we were commenting on that. It was our nod to the women who came before us. Actually, we got an email from Toni Stern, thanking us for mentioning her and the fact that she was an inspiration to us. There was a really interesting description of her as a female writer and the whole Laurel Canyon scene and her and Carole King writing these great songs together. It became this really inspirational image so we sort of fashioned our own version, our own mythical "Lady Of The Canyon" called Annalee. And there was that great song by The Band ["The Weight"] where's this little thing "keep Annalee company." Something about that name. For me, I always connected that with that song as well. You've had a long and illustrious career. What's your favorite song you've ever recorded? Oh wow, that is a tough one. God, I don't know. There are things I've recorded that people have probably never even heard unless you got this record in the '80s that was fairly popular among the indie crowd. The album was called Rainy Day and I did a cover with my friend David Roback, who ended up being in a band called Mazzy Star. He was also part of the Paisley Underground scene. He was in a band called Rain Parade. There was a version of the Dylan song, "I'll Keep It With Mine," that I recorded on that record. Nico had done a cover of that song as well on a really famous album of hers that John Cale produced called Chelsea Girl. That's one of my favorite ones even though no one's heard it. But I also love some of the stuff I've done with Matthew Sweet on Under The Covers. "Different Drum," was one of my favorite Linda Ronstadt songs. It's a Mike Nesmith song. His original version was great. Stuff on The Bangles' records, too: "Hero Takes A Fall" and "In Your Room," which was on the Everything record. That's still my favorite song to play live. "Eternal Flame," I have real special feelings for that song. It's hard to pick a favorite. Is the band planning on touring the US to support Sweetheart Of The Sun? Absolutely! Our first gig, I think is October 1st. We're starting on the East Coast. We're doing East Coast, Midwest, and the West Coast. The dates aren't firm so I don't want to lead you in the wrong direction but as soon as they're locked down, they'll be posted on our website and I'll try to on Facebook as well. You showed up unannounced to the Cat's Cradle in Chapel Hill and played two songs with a local band. Is that something you did often or was that like a one-off thing? You're just bringing back such a fun memory for me! Oh my God! I was at that show. It was a fun memory for me too, actually. Wow! I loved to do that and I hope to do a lot more of that kind of thing. Working with Matthew Sweet brought me back to the South. We did a little club run. I love to play clubs. I do. I love it. I love having that intimacy with the audience. I love doing things spur of the moment. I would love to do more of that, honestly. It all depends on the routing of the tour and how tired we are. But I would love to do that. What do you have planned for Volume 3 of Under The Covers? Well, it's all '80s now. We've worked our way through the '60s and '70s and now we're up to the '80s. We kind of have this thing where we never say what the songs are until the record comes out, so I wouldn't want to break our little protocol there and reveal any of the song choices yet. I'd want Matthew to be on that if I start blabbing about it. It's an awesome collection of songs. I can say that. I'm very excited about it. I never really thought I would say that about doing '80s music. The Bangles are often thought of as an '80s band and I totally get that but I felt so much like a child of the '60s, being the real influence musically for me. I felt like The Bangles were kind of quirky in the '80s. I guess "Walk Like An Egyptian" was quintessential '80s. Matthew and I spent a lot of time sharing our lists and listening together and going through. We were just really thrilled rediscovering stuff. I think people are going to be happy with the collection we've come up with. Your solo album you're working on... How is that going to be different from a Bangles disc? Wow. That's a good question. Maybe we should save that for a separate interview because it's such a long answer and I haven't thought about it. I've been working on the record in my free time this summer. Let me think about that. It is very different from a Bangles record. The things that I grew up loving: the '60s thing, pop and folk songs, but particularly the pop songs of the '60s I grew up with as a little girl. I talk to parents and they say, "Oh, my kid loves music. My little daughter or son is always singing along to the radio." I was that kid. I was obsessed with music from... honestly, from infancy. I actually taught myself to sing by singing along to everything from Lulu's "To Sir, With Love" to "Downtown" by Petula Clark to Dusty Springfield songs to Linda Ronstadt, Bonnie Raitt, Joni Mitchell. I just sang along and sang along and sang along. I think it's really about my influences and the solo record's really all about me exploring the singing and the melodies that inspire me. It's such a longer story because a majority of the songs were written in the spring and recorded really quickly afterwards. Let's talk when that record is ready to come out and I'll give you the whole lowdown on it. It's kind of an interesting story. I've got one more quick question for you: there's a group of young women playing rock 'n' roll in a California garage right now. What words of wisdom do you have for them? Wow. Follow your heart. Please yourself. When you're first starting out, doing cover songs is another thing I always tell young bands to do. Figure out how to tap into that thing that made you love music in the first place, whether it's a song that made you want to grab the guitar and make you want to learn how to play that riff or whether it's just singing along to something and thinking, "This song speaks to me emotionally. This song is the song that got me out of bed when I was depressed or when I was scared to face something difficult in my life. I put this song on and it made me have courage or when I was sad and alone, it felt like my best friend." That's how music was to me. I had a real deep connection to music, so try to find a way to create that yourself and I think that's the main thing I would tell somebody. Or this fictional all-girl band in the garage right now, you know? Thank you so much for taking the time to talk with me today. Best of luck with Sweetheart Of The Sun! Thank you so much! We'll talk again when these other projects are ready to see the light of day. 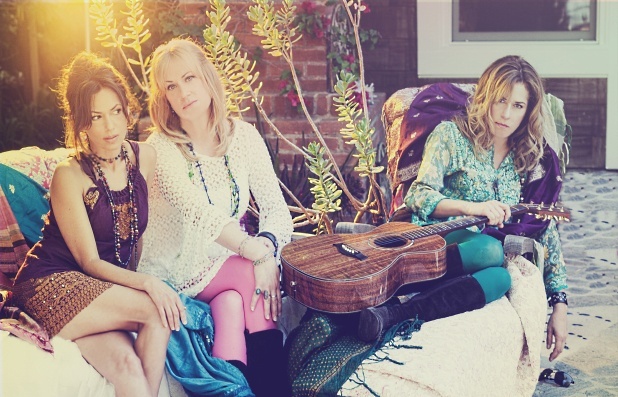 To stay up-to-date on The Bangles, check out their official page, Facebook, and Twitter. Sweetheart Of The Sun will be released on September 13, 2011.